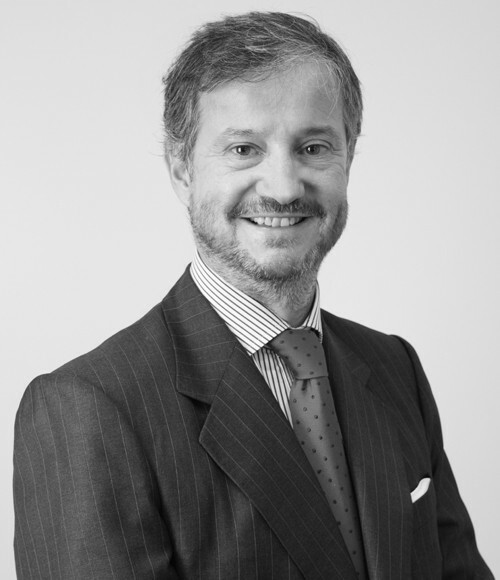 Partner of Carey and co-head of the firm’s Corporate / Mergers & Acquisitions, Antitrust and Regulated Markets Group. His practice focuses on antitrust regulation, merger control, commercial law, merger and acquisitions, securities, corporate and business law. Mitsui on the acquisition, and corresponding procedure before the National Economic Prosecutor (FNE), of 49% of Inversiones Tajamar´s shares in Inversiones Mitta, parent company of Autorentas del Pacífico, Leasing del Pacífico and Comercializadora Don Carlos, leading Chilean companies in operative leasing and car rental. Bekaert and OTPPB on presenting a merger control notification before the FNE regarding a joint venture between two steel rope wire companies. This case represented the first time that the Antitrust Court accepted unilateral commitments undertaken by the parties. Lazard, a global asset management firm, on the acquisition of the remaining 50% stake of MBA Lazard, its Latin American financial advisory business. CPM and Codelco on a consultation procedure before the Antitrust Court initiated by Empresa Portuaria de Antofagasta, on behalf of the concessionary of the Antofagasta Port. Mitsui & Co. on the acquisition of a 23.4% equity interest in Salmones Multiexport (Salmex), a subsidiary of Multiexport Foods. Canada Pension Plan Investment Board on the acquisition of a 49.99% stake of Grupo Costanera, the Chilean unit of Italian motorway Operator Atlantia, for USD1,125 million. CTI (Electrolux) on a claim filed by the FNE against Tecumseh do Brasil and Whirlpool before the Antitrust Court for incurring in cartel practices in order to fix prices of refrigerant compressors. This was the first leniency case in Chile. CTI intervened in the proceeding as a third party, jointly with the FNE. Codelco and Complejo Portuario Mejillones on a proceeding before the Antitrust Court regarding the requirements of the public tender of Mooring Station N°1 of the Antofagasta Port. Recognized in Competition and Antitrust, Chambers Latin America. Recognized in Antitrust and Competition and in Corporate and M&A, Latin Lawyer 250. Recognized in Competition and Antitrust, Legal 500. Recognized in Competition and Antitrust and Corporate and M&A, Best Lawyers. Professor of Economic Law, Universidad de Chile (2013-2014). Member of the Board of Directors of K+S Chile (previously Sociedad Punta de Lobos) and Empremar. Co-author of the Chilean chapter, Overview of Competition Law in Latin America, IBRAC (2016). Co-author of the Chilean chapter of Merger Control, Getting The Deal Through (2012-2016). Co-author of the book “Dumping and Disloyal International Competition” (1995). Frequent lecturer in seminars and conferences in Chile and abroad. Course “Politics of Global Finance”, London School of Economics and Political Science (1993).